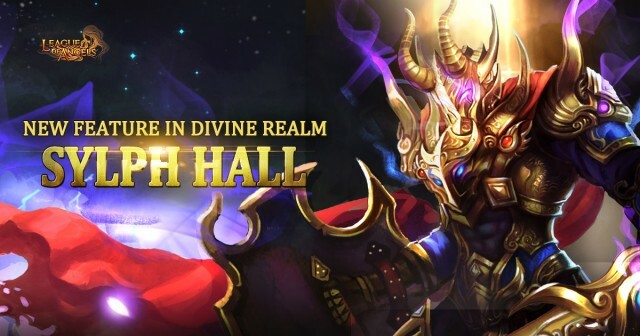 Sylph Hall: Summon Powerful Heroes in League of Angels! Sylph Hall: Summon Powerful Sylphs in League of Angels! 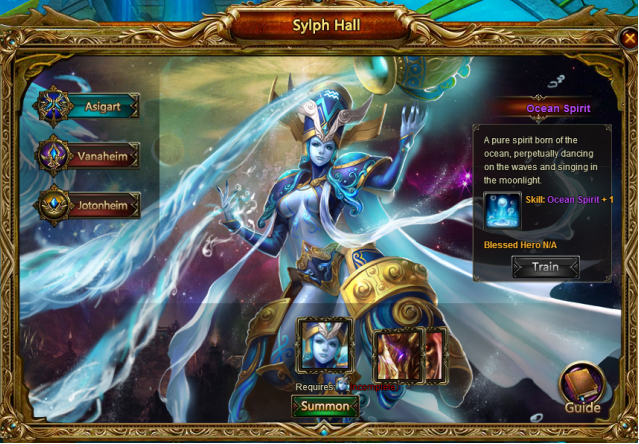 League of Angels, the award-winning browser MMORPG, is ready to introduce a brand new feature: the Sylph Hall! This new feature, available on Oct 18th, will allow you change into amazing Battle Skins and greatly increase your Battle Rating! Check out all the new system below. Sylph Hall is a place where ancient, powerful Sylphs dwell and little has been known about it until now. It’s time to awaken the Sylphs from their slumber! All Heroes in Sylph Hall possess mystery powers and skills. They can even bless your Heroes in battle after you summon them! There are three different tabs in Sylph Hall, which are unlocked according to your character level. Asigart unlocks at level 70, Vanaheim at level 71, and Johonheim at level 72. To summon a Sylph hero, you need to collect Sylph Hero Badges. After successfully summoning a Sylph from the Sylph Hall, you can train them to boost their stats. The required Purgatory Souls can be obtained from various events throughout the game. 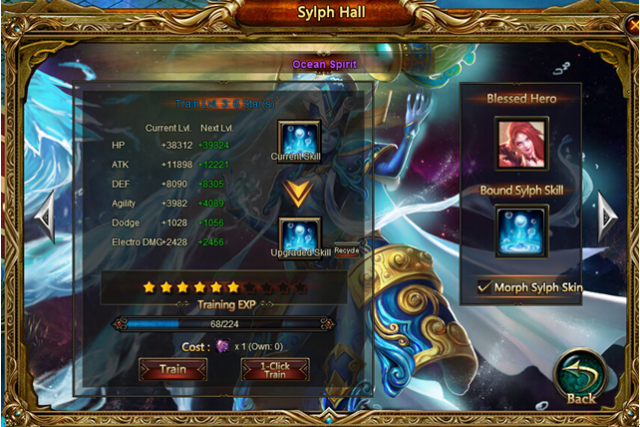 If a Sylph blesses a Hero, you can alter the Hero appearance by checking the Morph Sylph Skin box! If you summon a new Sylph later, you can recycle and get back the Purgatory Souls you spent on the former Sylph. We hope LoA players will enjoy the new Sylph Hall in this update, and look forward to much more great content coming very soon. Join League of Angels today and experience one of the hottest browser games for free!